Resident Evil: Vendetta Screening and Q&A with English Voice Cast! Anime Expo to host screening of Resident Evil: Vendetta, with a Q&A by the English voice cast! Panelists include Kevin Dorman (Chris Redfield), John DeMita (Glenn Arias), Alex von David (ADR Director), and Mami Okada (Casting, Bang Zoom! Entertainment). Due to its R-rating, the Resident Evil: Vendetta Screening is restricted to 18+ attendees. An 18+ wristband is required for this event and can only be requested at an Info Services booth in LACC. Please note that this a non-ticketed event. For information about lining up and room entry for this event, please see the Program Room Policies. 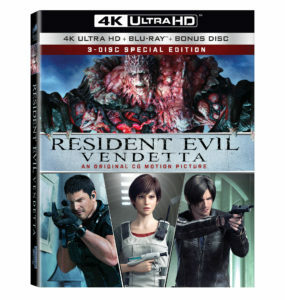 Synopsis: BSAA Chris Redfield enlists the help of government agent Leon S. Kennedy and Professor Rebecca Chambers from Alexander Institute of Biotechnology to stop a death merchant with a vengeance from spreading a deadly virus in New York. 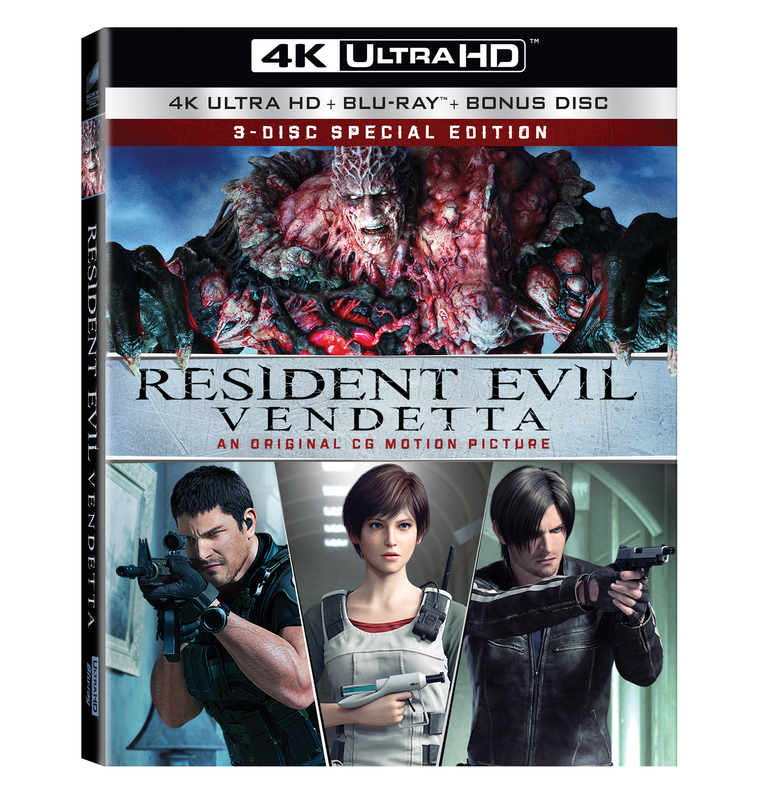 Resident Evil: Vendetta will be available on digital June 20th and 3-Disc 4K Ultra HD™/Blu-ray™ Combo Pack, 2-disc Blu-ray™ and DVD July 18.